2014 Chevrolet Silverado may be getting supercharged this year. 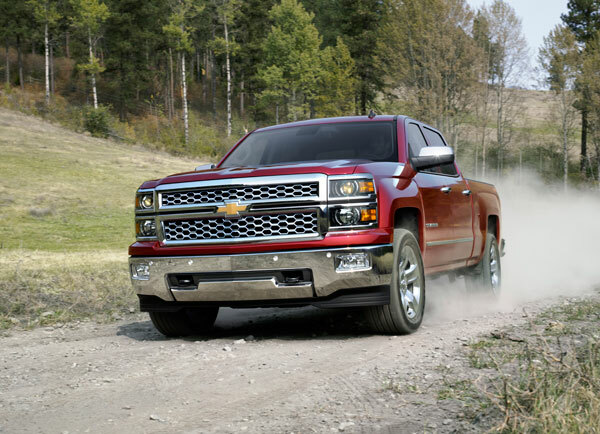 GM revamped its truck lineup for the 2014 model year with all-new versions of the Chevrolet Silverado and GMC Sierra. The completely redesigned pair has been making their way around the country to heighten excitement for their arrival to dealerships, but today, the real excitement is coming from Callaway Cars Inc’s most recent announcement. The company that is famous for turning the Corvette from a sports car to a supercar, has announced that the 2014 Silverado and Sierra will undergo a similar transformation under its roof. Callaway plans to outfit the pickups with two available superchargers that will significantly bolster performance. Callaway’s plans include a 5.3-liter supercharged V8 and a 6.2-liter V8 that is also supercharged. Exact performance figures have yet to be released, but Callaway estimates that the 5.3-liter engine will generate over 450 horsepower, and the 6.2-liter will pump out an immense 540 horses. Truck-lovers value power almost as much as they do the truck itself. We think that Callaway will satisfy the cravings of even the most power-hungry pickup enthusiasts out there; what do you think?